Our European system is conceived in a mixed way, both with mechanical fasteners and with proper glue. The substructure consists of brackets anchored to the wall by mechanical-chemical anchors and T-profiles joined to the brackets through means of rivets. Between masonry and substructure they are employed in insulating glass wool or other types of materials that ensure the thermo-acoustic insulation. 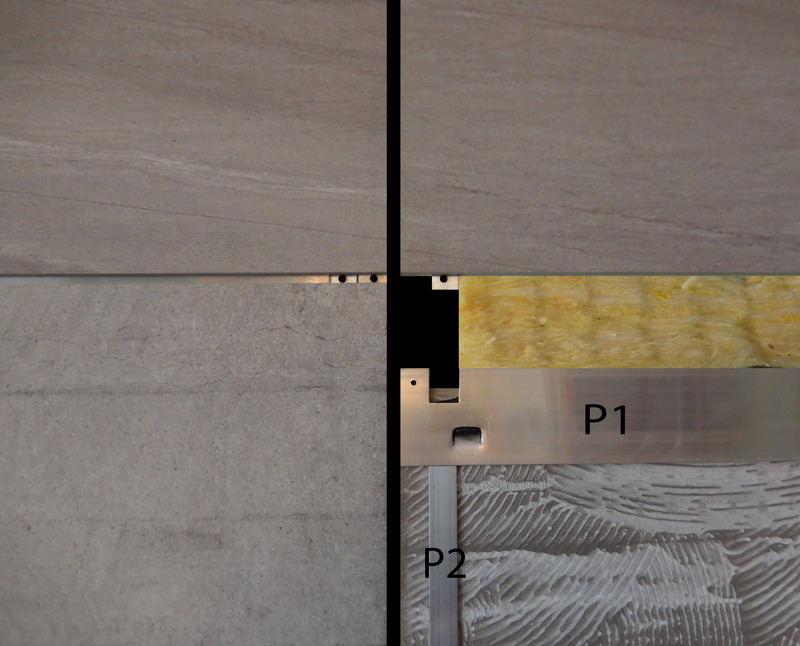 The fixing of the finishing slabs (ceramics, laminates, fiber cement, stone, marble) to the substructure takes place through the use of a horizontal aluminum plate (P1), two aluminum vertical plates (P2) and rivets. The plate (P1) is positioned on the back side of the finishing slab with specific glue and milled anchor, while (P2) only with glue. The rivets are inserted into the joints between the slabs and the other. It is therefore easy to dismantle, even individually. This patent also provides for the closure of the leaks both in horizontal and in vertical. 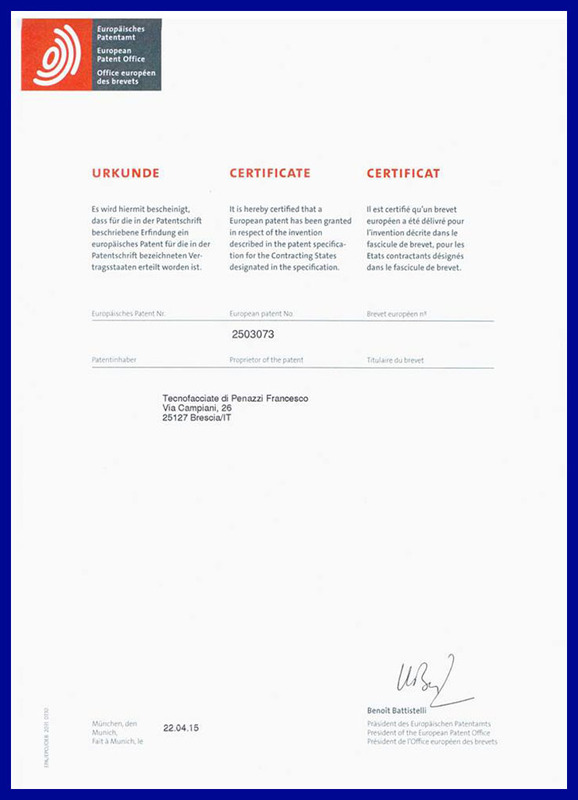 Here below you will find an example of our European patented system.